Skye had beautiful weather while the rest of the northern Europe got snowed under. 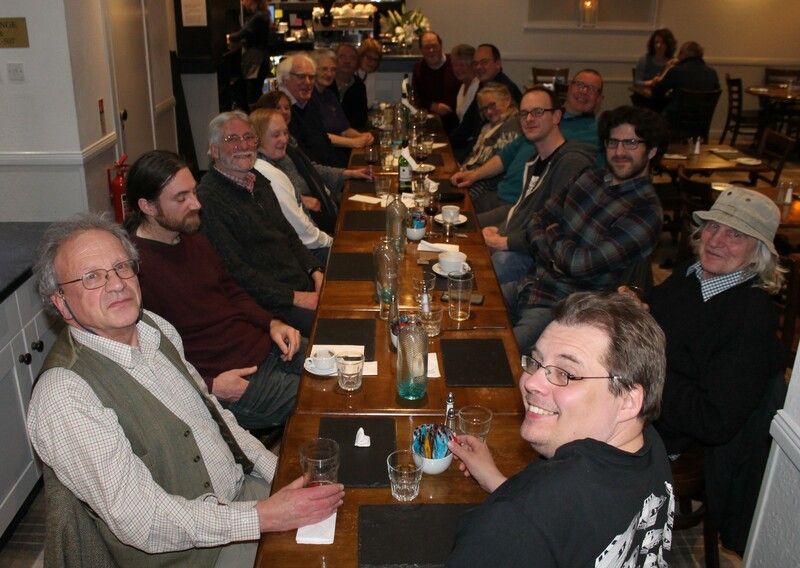 As a result just 19 of the 33 who'd registered for the fifth Isle of Skye Go Tournament got through. Juliusz "Julko" Pruszynski tried to travel from Lodz to Skye by bus but only got as far as London; he was sorely missed. Either Edwin Brady or Donald MacLeod were to have done the draw but both were snowed in. Nick Wedd started writing names and drawing lines on index cards but John Collins turned out to have the program on his laptop and did sterling service in spite of computer crashes forcing him to type it all out again on the Sunday morning. He got a prize and a cheer for his efforts. John Collins and Carel Goodheir won leagues C and B of the Friday evening 9X9 contests with 5 and 4 out of 6 games respectively. In league A all four players won, each winning 3 out of 6 games - prizes to all. The main event winner was Rab Fulton (1k Glasgow), winning 5 out of 6 games. Niall Paterson (5k Glasgow) and Alasdair Clarke ( 5k Aberdeen) also won 5. Sue Paterson (4k Arundel), Philip Smith (4k Winchester) and Carel Goodheir (9k Skye) each won 4. There were prizes enough to reward everyone who made it through the weather. Several firms and individuals had donated, in particular Diageo, who for the fifth time gave a bottle of Talisker, and the sweet shop two doors down from the Tongadale, who donated left over Christmas speciality chocolates. 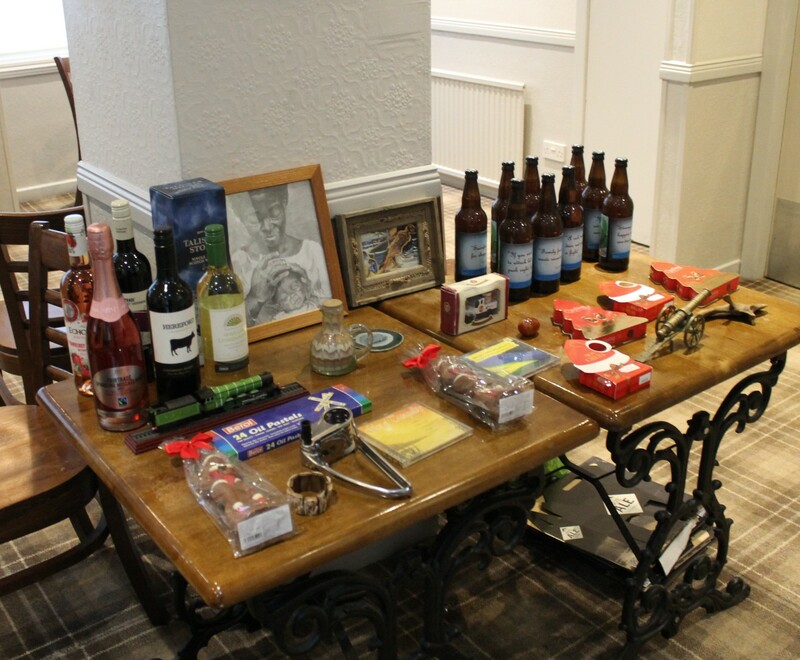 Other prizes included bottles of wine, “Skye Monkey Jump” ales, and assorted odd object bought in charity shops. 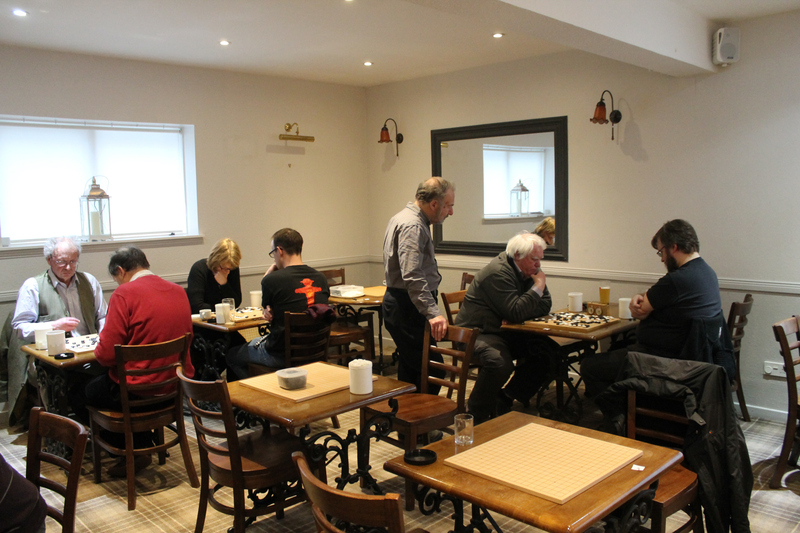 20 people sat down to dinner in the Tongadale Hotel, the tournament venue, on the Saturday evening. Halfway through the meal Ron Bell arrived – he’d been let down by both trains and buses. Many of the participants took more days holiday on Skye before and after the tournament.